It's about to warm up so the creepy crawlers are likely to start showing up any day now. Post pics and reports please. I always love this thread (consider my username). 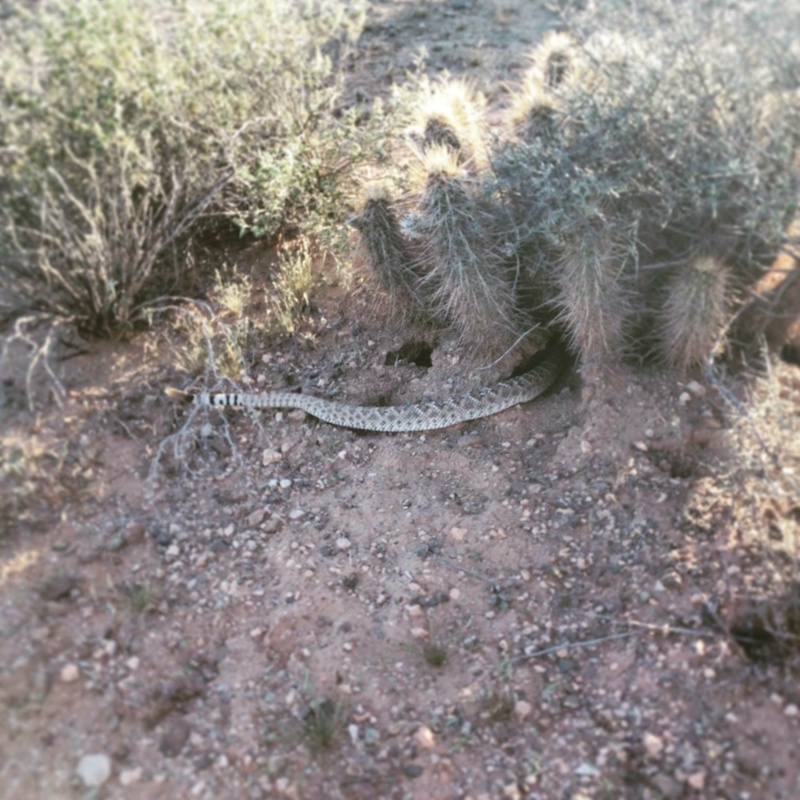 At what temps/time of year do the rattlers begin to make their way out of the dens? Hopefully not until March 7th at the earliest. We leave the state on the 6th. I would think that they are already waking up and tempted to venture out. With this forecast week of warm weather coming up, I would expect one of you guys to cross paths with one or more. k2rider1964, rattlers are great guys! Nothing yet? Not even a lonely little lizard sighting? I'll post this one till the real ones start appearing. 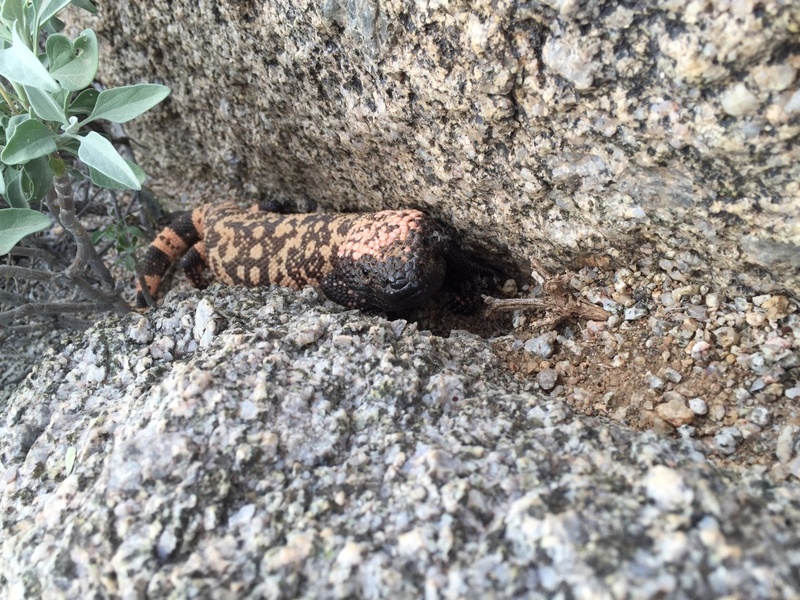 I saw a three inch lizard doing push-ups in Prescott Monday. Do you know why he/she was doing that? 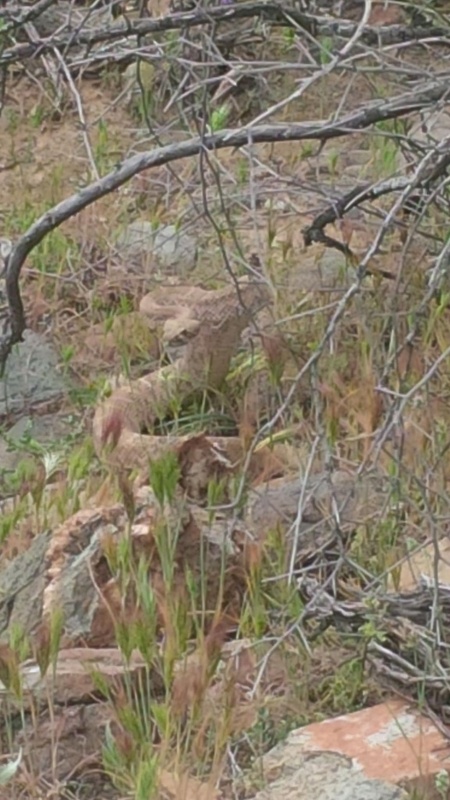 Practicing for the Prescott Monster? Lol, (1) making you understand that this is his/her territory, and (2), to see you better (primitive brain/limited vision). ^ Awesome! It's on. 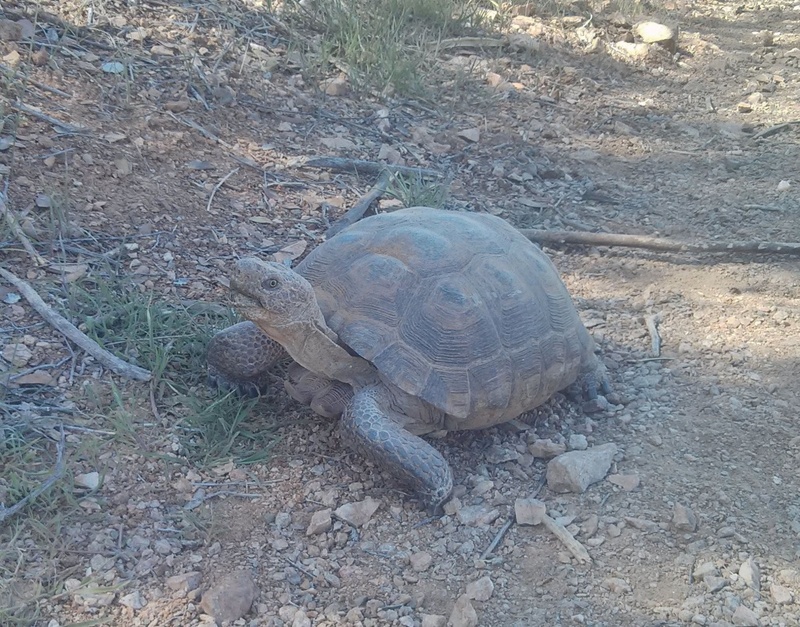 If the tortoises are out, then the season has begun. ^ Outstanding!!!! 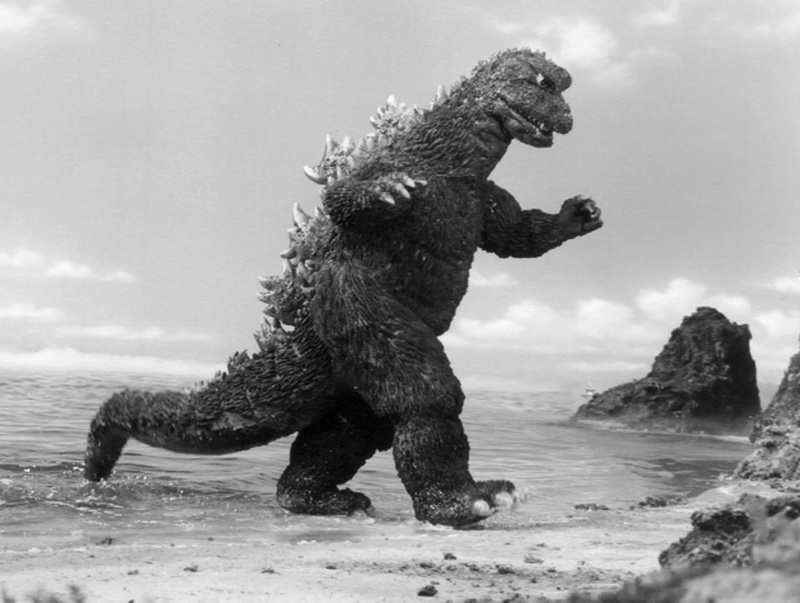 Let's hope it's going to be another active year (like 2014 was) for the Monsters. 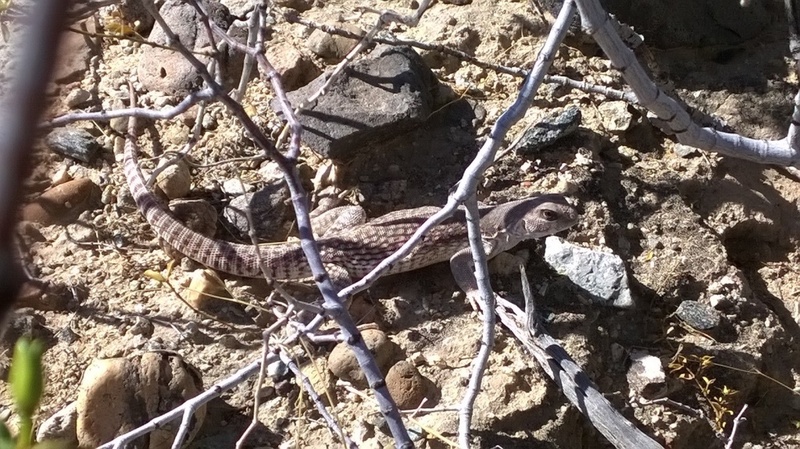 Desert patch-nosed snake - Gold Canyon. Not exciting, but first one I've ever seen, and the first reptile I've encoutered this year. Homey, what did you use to take that photo. You look up close. seen many in captivity, would be great to come across one in the wild. Last edited by AZmuchacho; 02-20-2016 at 10:27 PM. 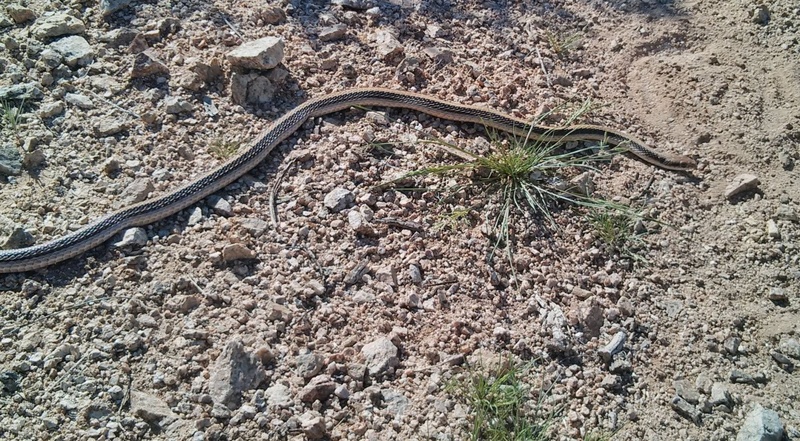 That's the snake I have seen most often out there in AZ but it is an excellent encounter, nonetheless. Thanks for sharing! I chased a few small Blue Belly Leeezzzirds on the trail yesterday. We have an area here where they get especially black in color and have the most incredible iridescent blue bellies. I know the type you are referring to. 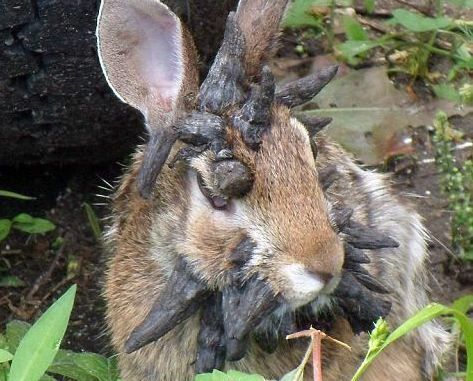 Gorgeous, demonic looking little fellars. They're pretty exclusive to the newer upper trail sections on the Froom Ranch a bit south and part of the network of Irish Hills trails. I used my iPhone and I was as close as I could get without scaring him too much. Best I can do for you, Hawg, yesterday afternoon on Quartz Ridge trail, PMP. 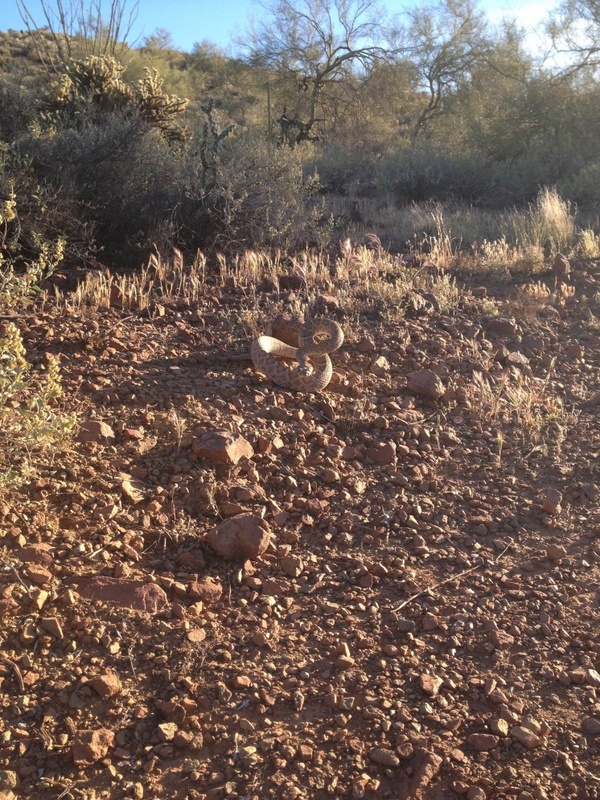 I've notice more rabbits on the trails this week. Where do they go when it gets cold? Do they hibernate in dens? That's your full-size! Nice capture. Still feels early to be worrying about rattlers. With this recent sustained heat, it's definitely not too early for rattlers now. 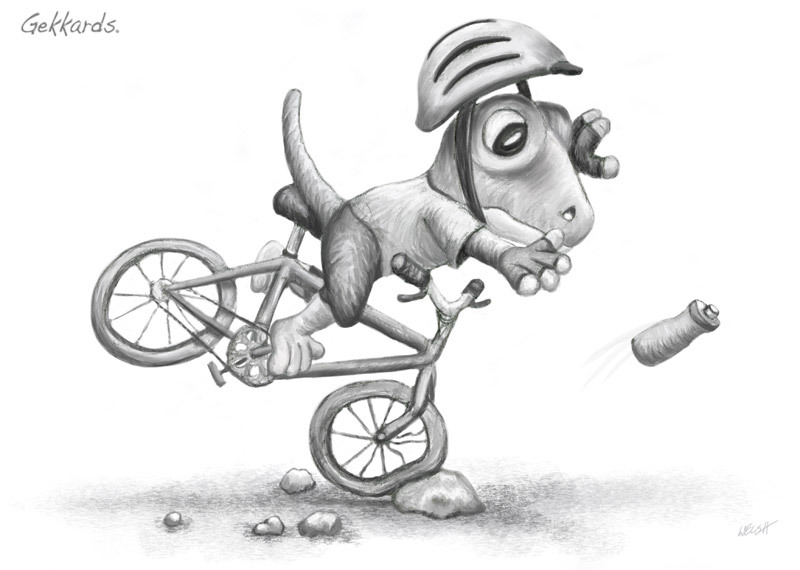 Almost got struck by one today, I was going just fast enough (uphill) to avoid it. He was hiding behind a bush and I must have scared him. No pics, it went into the bushes before I could get any. Did see this little guy later on though. Quartz Ridge, Gold Canyon. About the size of a football. 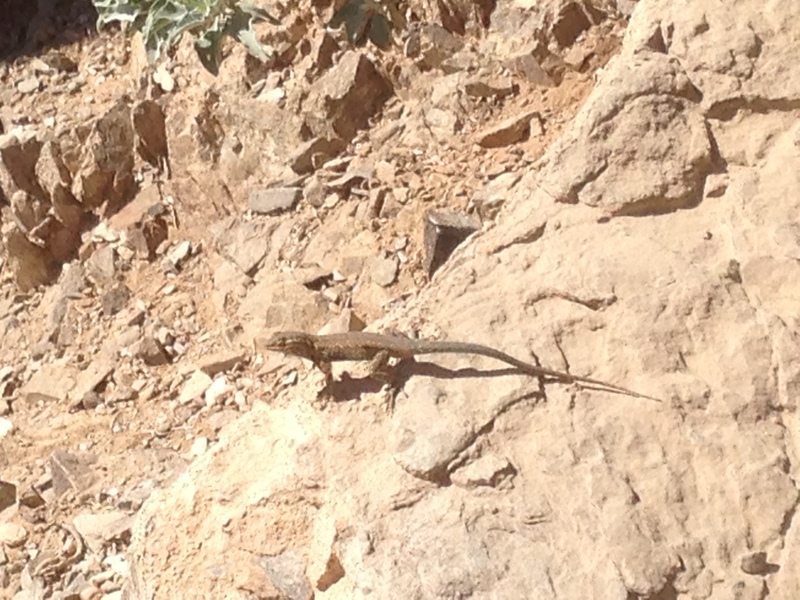 I saw a lizard out at Hawes the other day. Picture shown is not actual size. 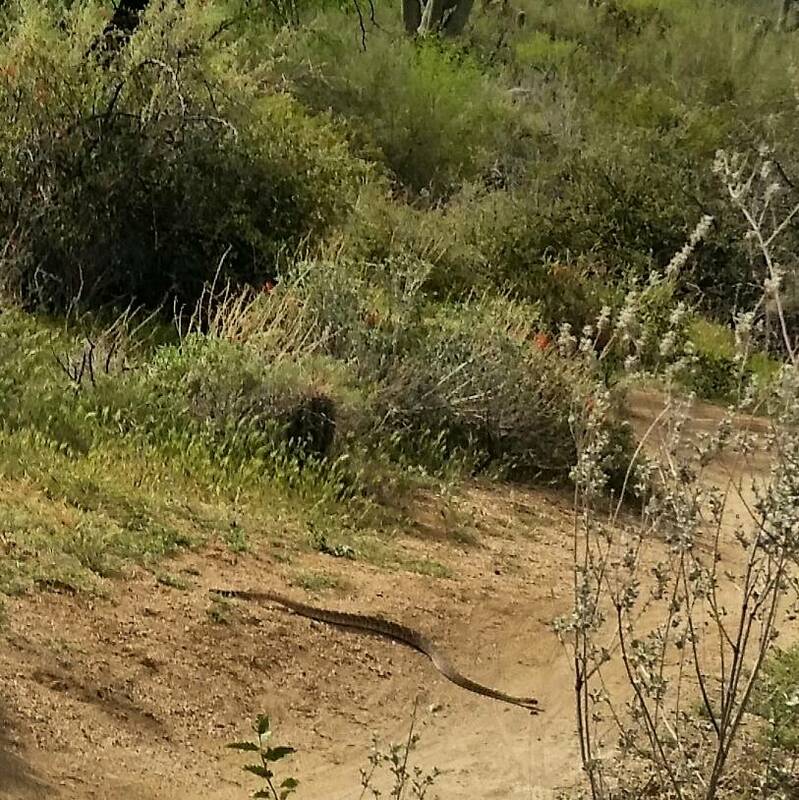 I dont have pics but saw black desert snake on the staging area to pemb and smallish rattler on the CW downhill to scenic. my only problem were BEES. flowers are out. More shell-dwellers in Gold Canyon. Coyote trail, a little bigger than a pineapple, a bit smaller than yesterday's. Transition trail, about 2/3 the size of the one above. Nearly rode over it, he looked like a rock in the middle of the trail. 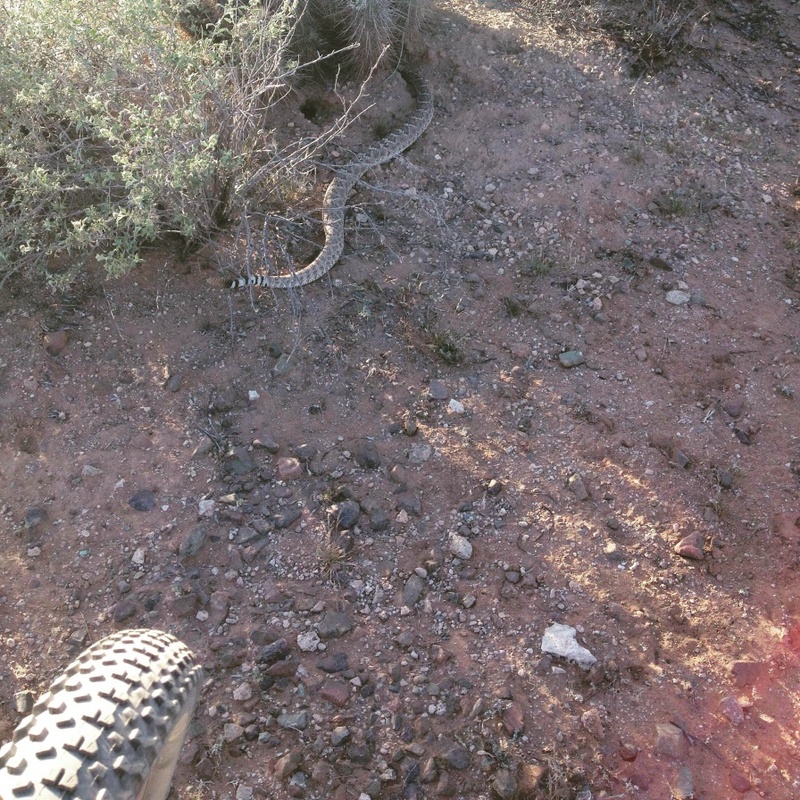 It's funny how those things (and snakes and some types of lizards, too) just park it right in the middle of the trail. 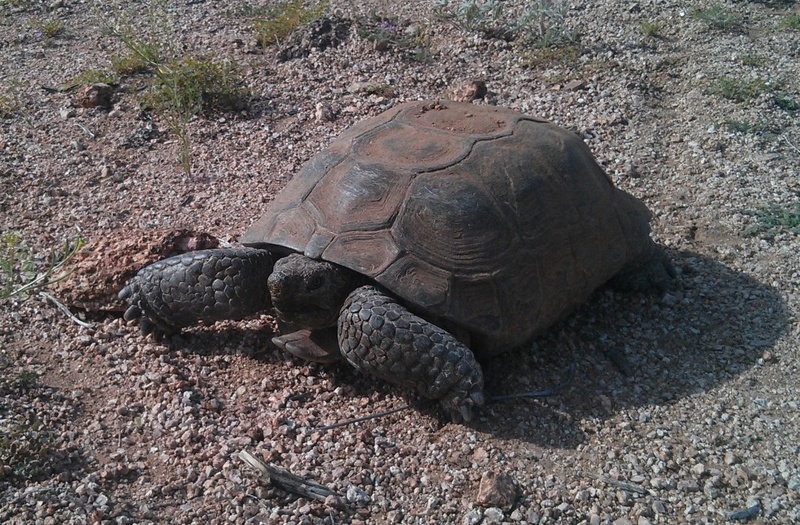 This is starting to look like the Year of the Tortoise. Saw this fella on our bikepacking ride Friday out at Hawes. First one I've seen there, No. 9 overall in the past three years. 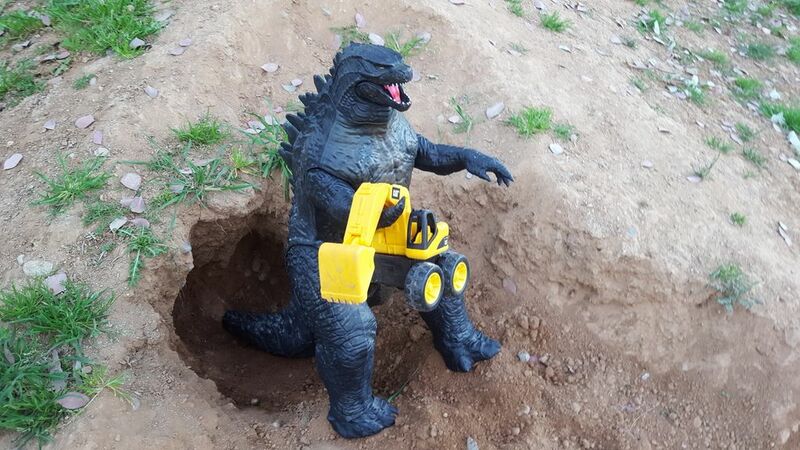 That's fabulous freeskier46, thanks for posting your Monster! The time is about right for them to start becoming real active. Finally have something to share from the trail. Seen today. A big ol' fat and long leeeezard! That's a Northern Alligator lizard. Excellent find. We have the Southern species where I live which have less distinctive patterning. That lizard is from out of state. 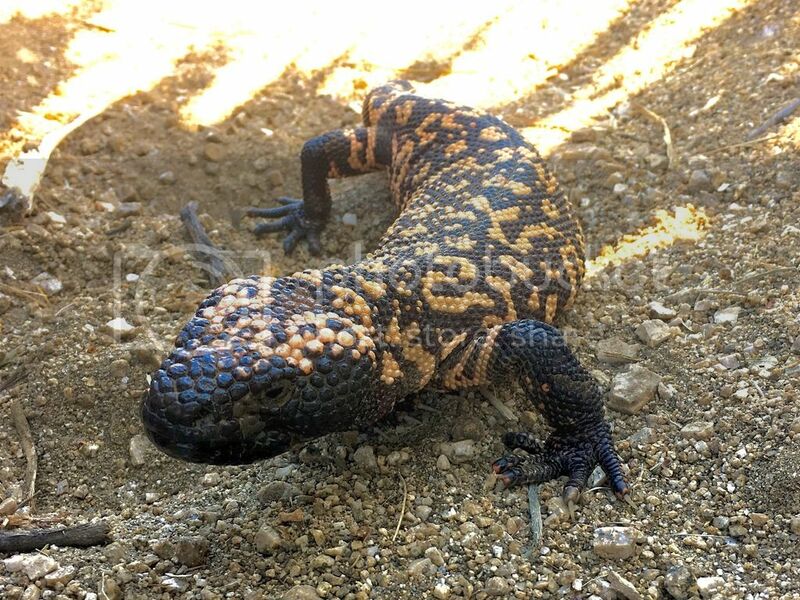 Hawg, because someone asked me what it was, I was on CA Herps site last night. 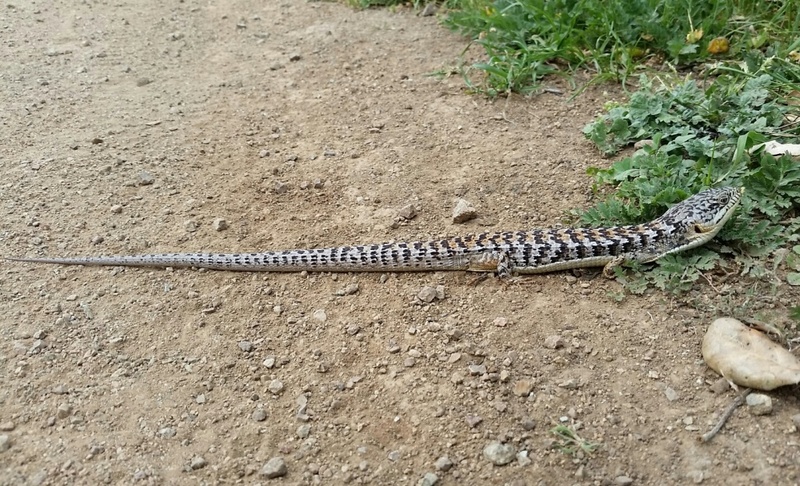 I thought "Northern" at first but then I saw the California Alligator Lizard, and more specifically, a specimen from SLO County and it pretty much nailed it. I'm texting my buddy/neighbor that chases lizards and bugs in the field all day, every day, and see what he thinks. He gets paid to know. He's the guy that explained the color variability of our Blue Bellies on our trail network which is right where this big alligator was seen, at a slightly lower elevation near Irish Hills. Waiting on a reply right meow! Wow, according to the range maps, you're right. 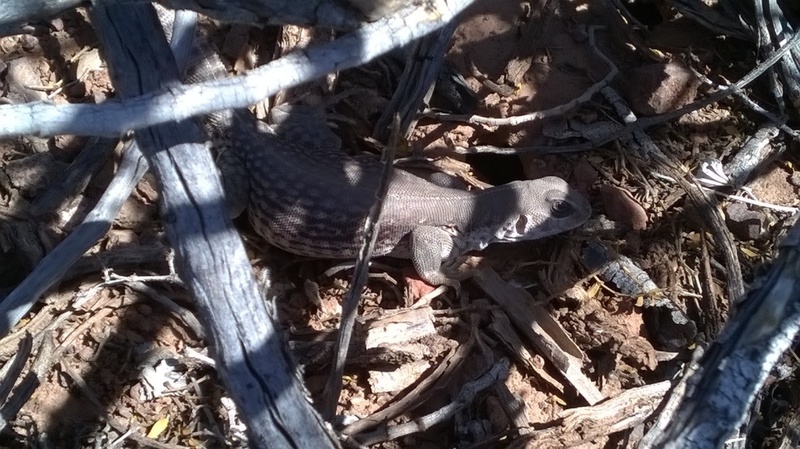 It's actually a subspecies of the Southern Alligator lizard. 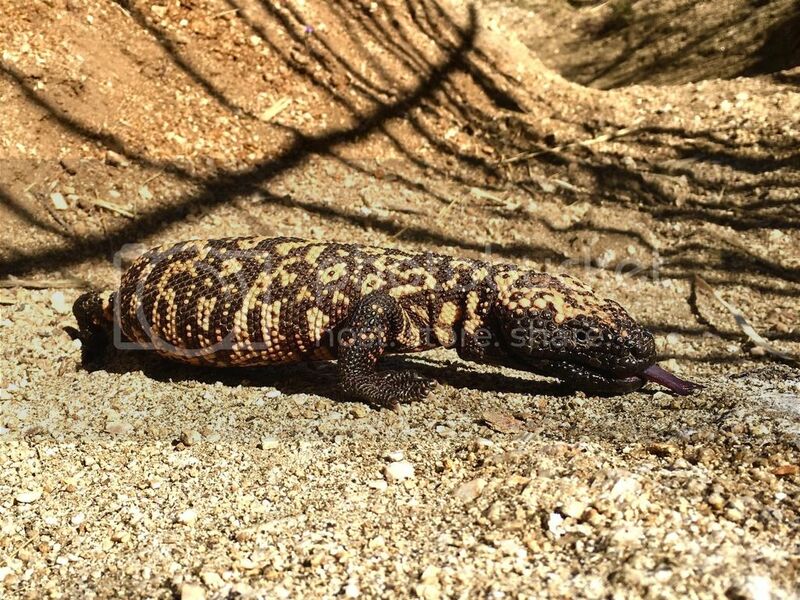 I have to wonder if the species was created by a cross breeding between Northern and Southern Alligator lizards because your lizard has the unmistakable checkerboard head of a Northern but the red on the back is what you see on a Southern. Very interesting! 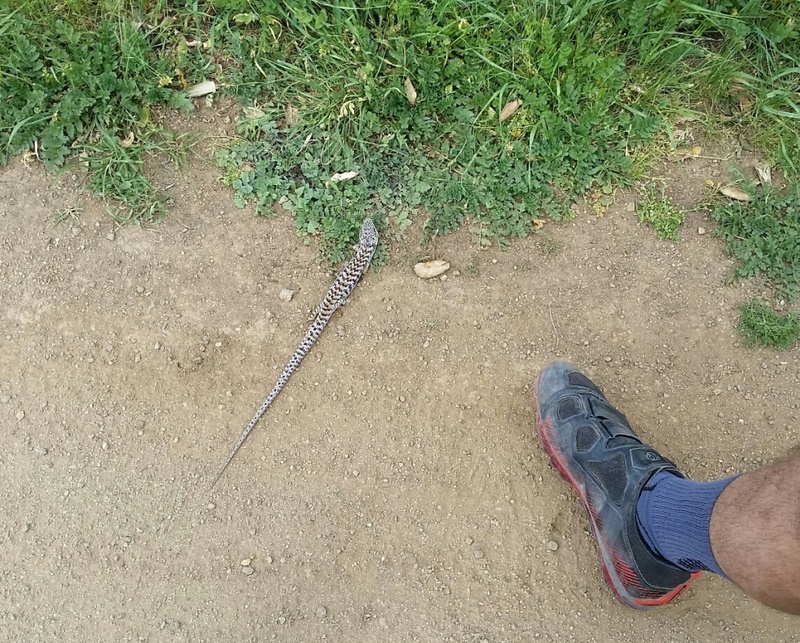 The one I have here is the San Diego Alligator lizard. 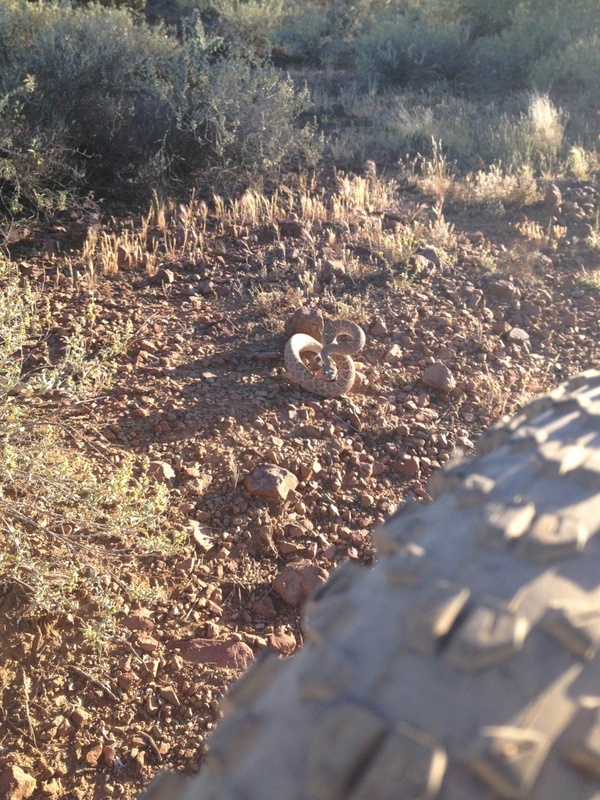 How about this out of state Rattler where I ride? Sounds like you're overdue. Keep a sharp eye open. 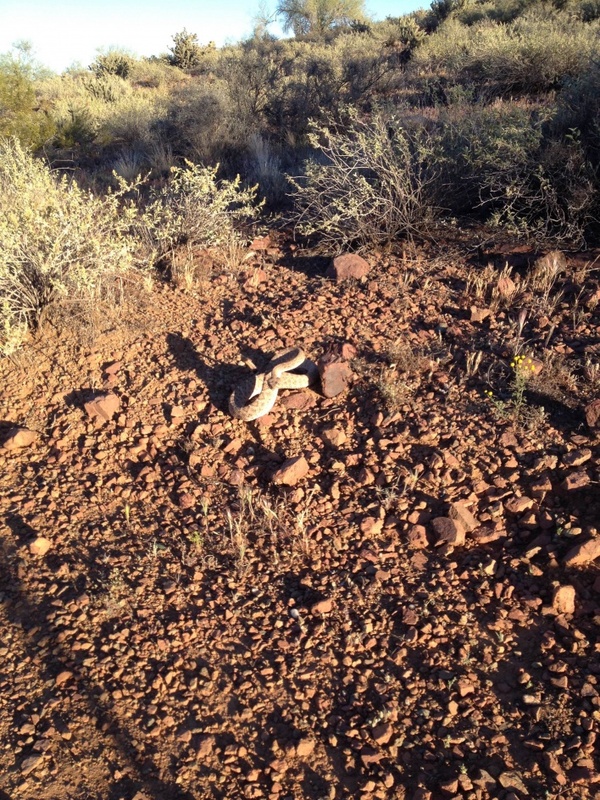 One of my buddies, the last guy in our group of four actually ran over this guy on the climb. He said he was so tired and focused on the climb that he didn't see it until he was getting ready to go over it. 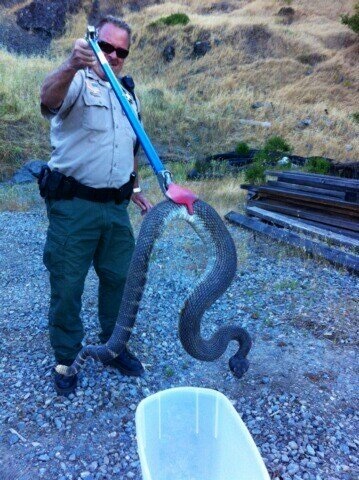 Luckily, he had enough momentum to carry him past the snake. 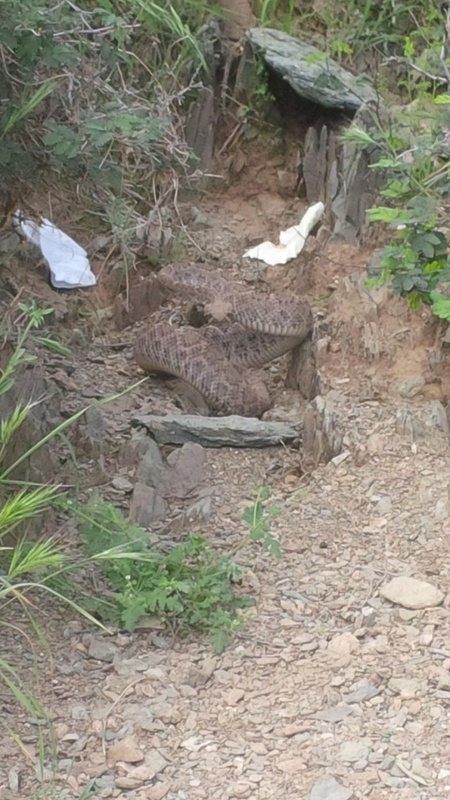 The snake then went into the bushes and took up this defensive position. Last edited by k2rider1964; 03-08-2016 at 03:15 PM. That damned snake needs to pick up his damned trash. What a pig. I saw this guy on Saturday. Almost rolled this guy at GC yesterday. 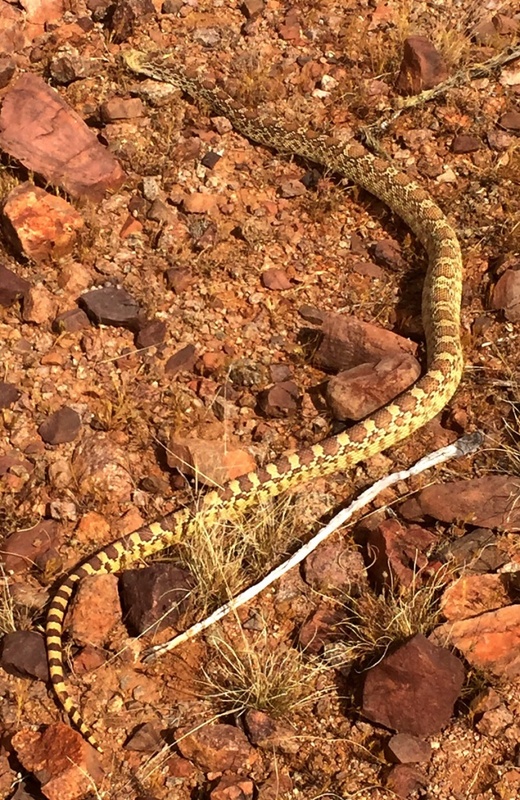 These feisty gopher snakes get a lot of credit for carrying on as they do, despite not having any venom. 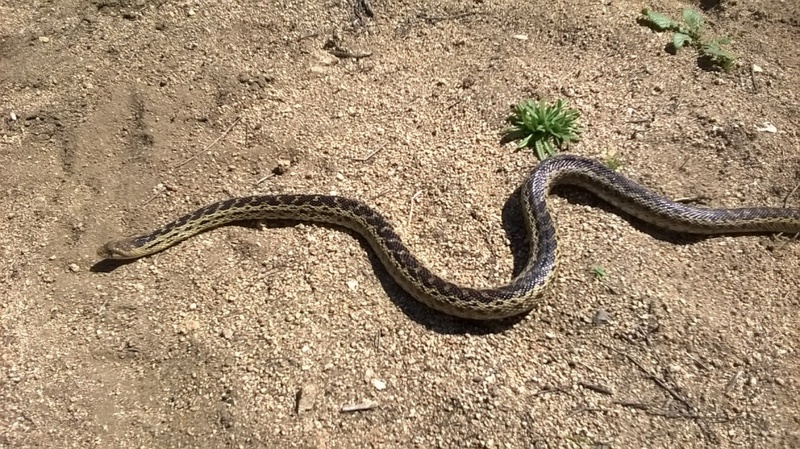 Even though my encounter was not in AZ, here's my first snake of the year, a 4' San Diego Gopher snake. I spent a little time with her. Very calm, very mellow. No hissing, striking, or biting. Here's a better view of her. Very nice specimen. I considered picking up mine, but he was pissed, so I left him alone. 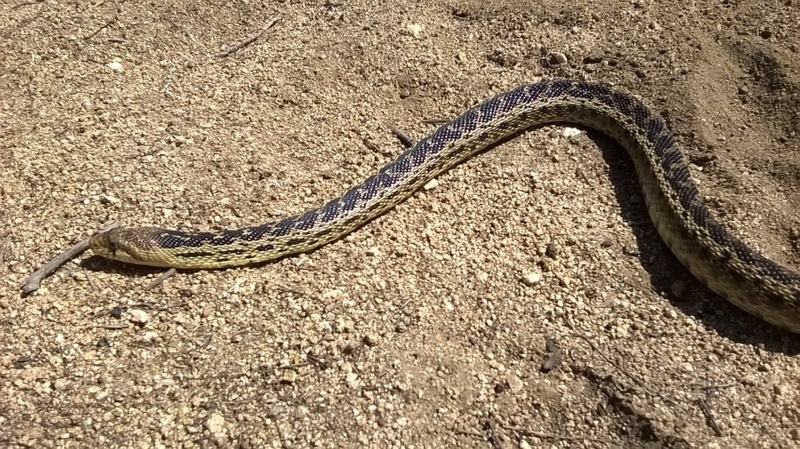 This is my third gopher snake I've encountered in AZ. All of them have been pretty testy. 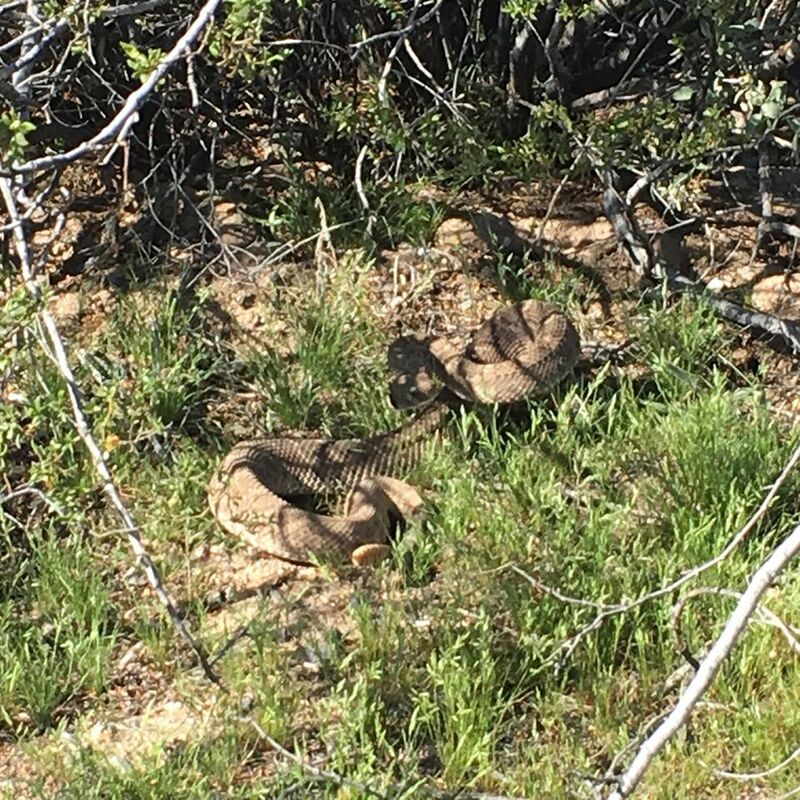 But I'm happy to encounter them any day over the rattlers. 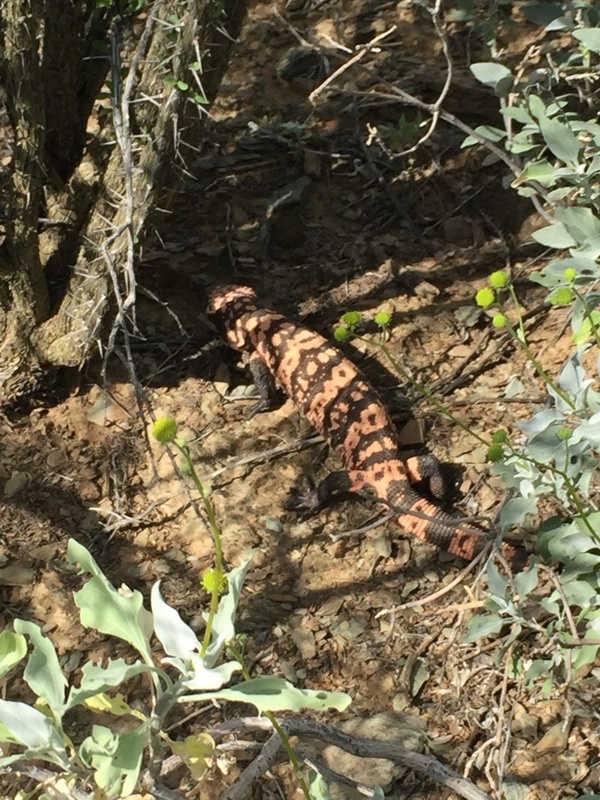 Saw this guy at Brown's Ranch near cathedral rock. 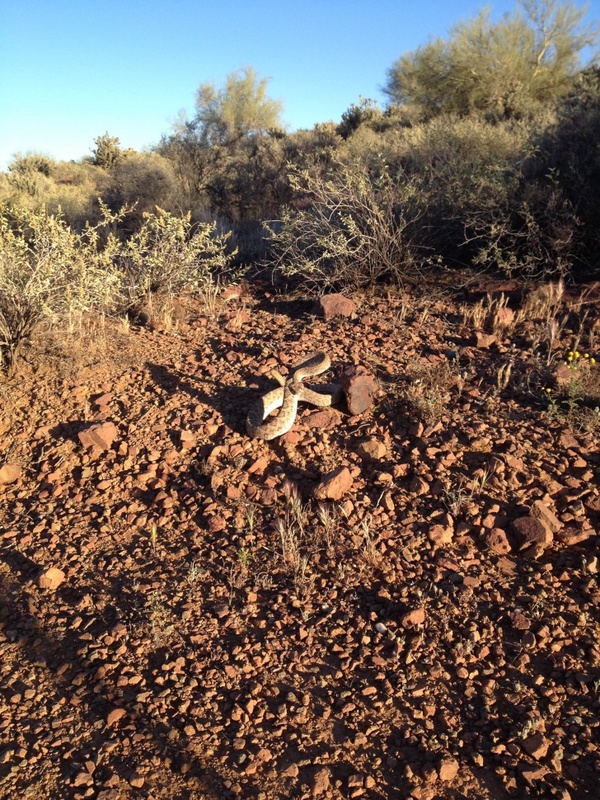 today at hawes i saw a diamondback that was sand colored and had no diamonds. 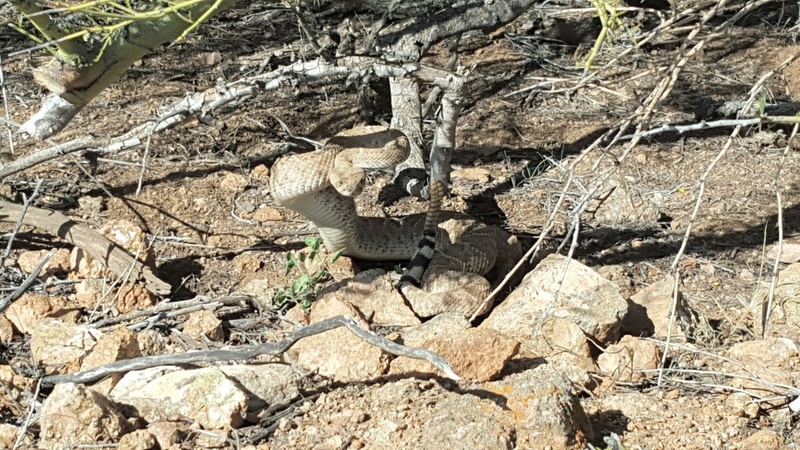 he had the black and white tail and the viper head, but he was almost the same color as the trail and i didnt hear him till he rattled. Oh, goodie! This is going to be a major treat! When I went to the rattlesnake museum in New Mexico, they had about 8 different subspecies of the western diamondback on display. Each one looked like anything, but a diamond back. I had no idea the broad range of variation in color and pattern. 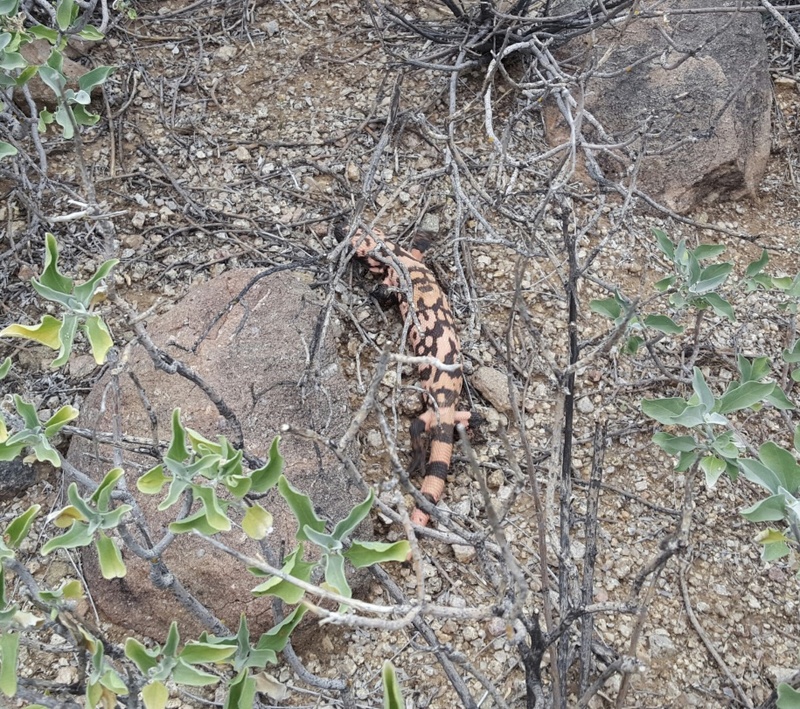 Saw this Gila Monster on the Black Canyon Trial on 3/5/16. 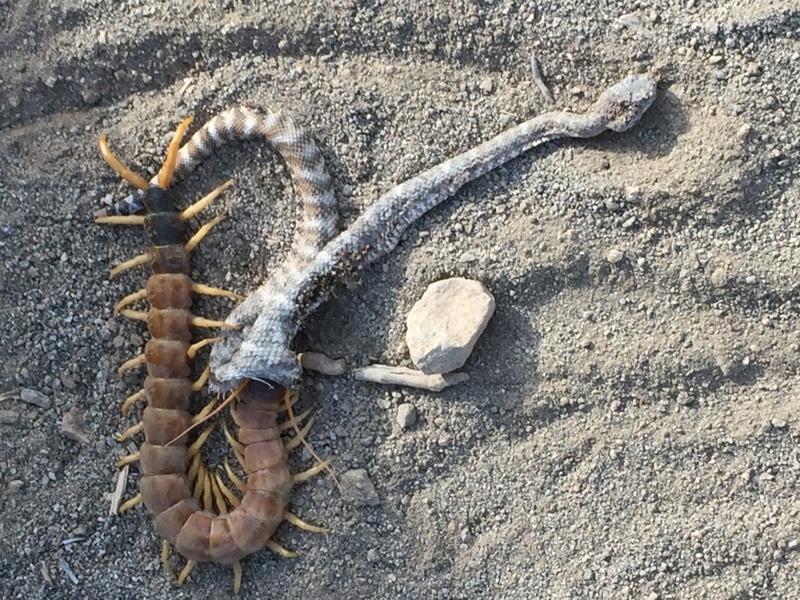 Then there is this centipede munching on a rattlesnake over on the new Skyline Trails. You could put a saddle on that thing and ride it. Woah! is right!! How big is that bug?!! I'm Centipede-ignant. Are those harmful to humans? We have nothing of the sort around here. I had a pretty big one come up out of my shower drain when i turned on the water. he ran up the shower curtain super fast. They can truck pretty good with all those little legs moving together. GEEZUZ! Okay...now that sounds like a hideous sci-fi movie scene. Do they bite the peeplez or harmless? They bite but it's rarely (almost never) fatal. Everything bites out here and causes swelling it seems. I got bit on my leg by a little tiny green spider yesterday while riding and now my calf is the size of a small melon. 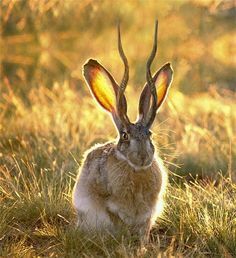 heading to Sedona in 2 weeks....wanted to get a taste for the wildlife with this thread. Im coming to Sedona with WoodstockMT.. Any sightings in Sedona? What should we expect? 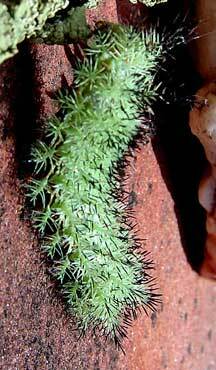 I had a bunch of those at my house back in Eastern Oklahoma. Caught this one inside the house, but let it go since I learned they help control the scorpion population lol. Was 8" long, and the body not including the legs, was 1" wide. I've seen one that I thought was albino as well at McDowell last year. I was surprised how light the color was. I could barely make out the diamonds. Ratters come in many colors, the Phoenix zoo has got a good collection of them. 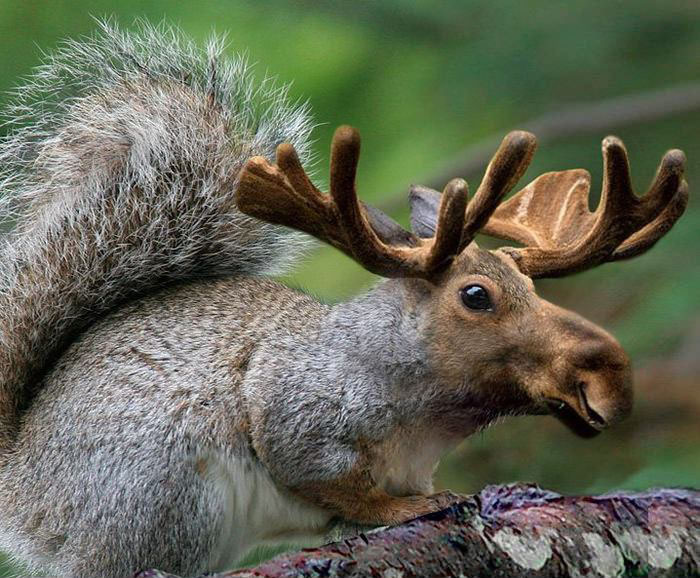 We have these in VT. Very rare. Colors can vary depending on how recent their last shedding was. Swelling has died down alot with benadryl, but the rash is still there. I get bit all the time by insects out here, sometimes my leg swells up to where the swelling goes down to my foot and up to my knee. 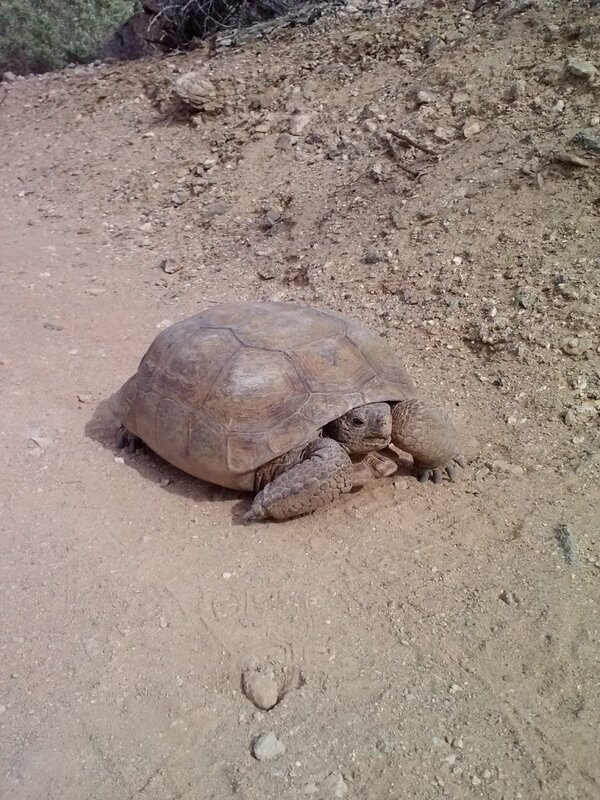 Yesterday at Phx Sonoran Preserve I rolled up on this guy just stretched out on a fairly busy connector trail. 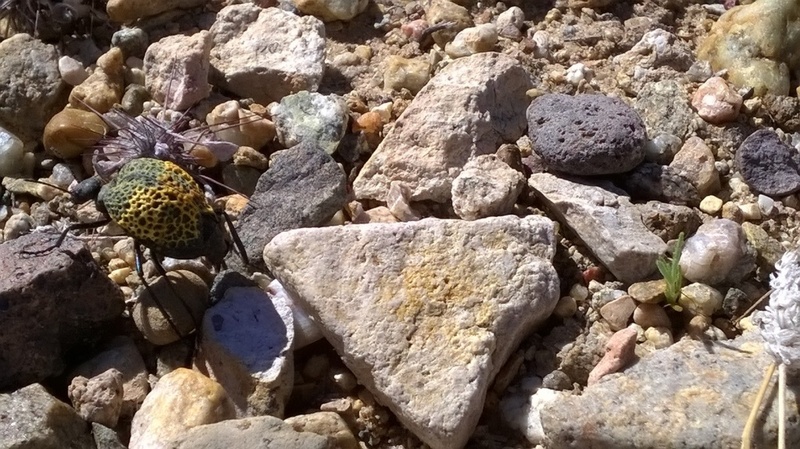 I stopped and tried to guide him off trail. 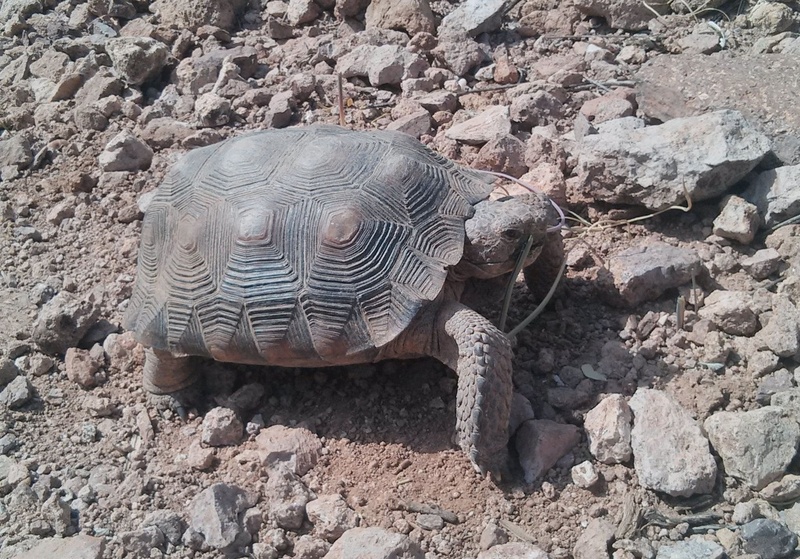 He slowly and without a rattle complied and headed into a hole under some cactus about three feet off the trail. By the time I left, he was completely hidden save for about 3 inches of tail. Looks like he was ready to drink a beer with you guys. Everything bites out here and causes swelling it seems. 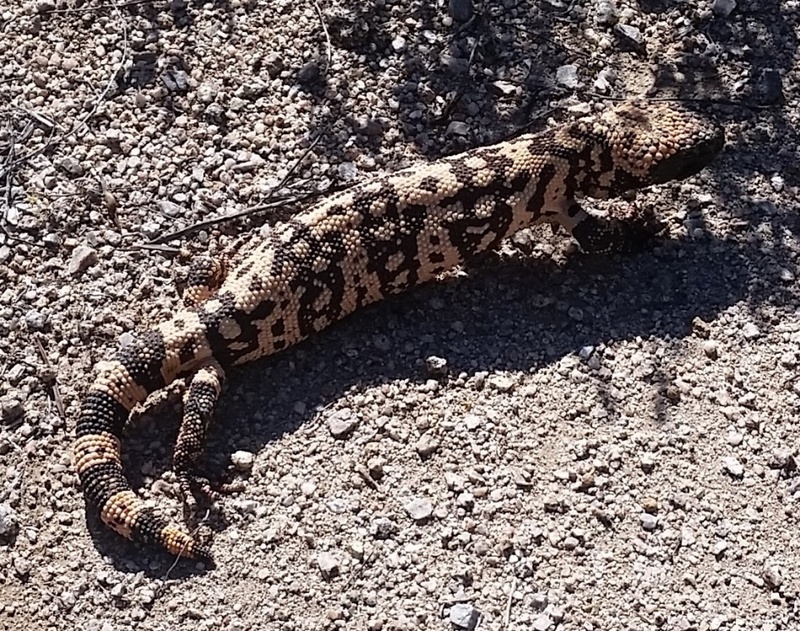 A couple of big Desert Iguanas and an odd, unknown beetle from the Lake Havasu area.